Why Interview a Real Estate Agent? For a lot of people, buying or selling a home is the largest monetary transaction they will make in their lifetime. Beyond a home being just a place of shelter, it's the place where family and friends gather and where our children grow up. It is also a savings account. In a lot of ways a home, when sold, can represent a large portion of many people’s retirement funds. With the home buying or selling process representing such an important piece of many people's financial future, it is important to do you research when choosing a professional to represent you on something so large and important. The good news is that 1,000’s of homes sell all over the country everyday. If done correctly, this can be a very smooth, seamless and rewarding experience. On the other hand, if handled improperly, it can make the process of selling your house a miserable and overwhelming experience. To better help you make a more informed decision when choosing a Realtor to help sell your home, it is important to take the time to interview them. We created a basic list of questions and why you should be asking these specific questions. These questions will pro-actively help you avoid the above issues. We've also included all the questions as a PDF that you can download and take with you when you go to interview a potential real estate agent. 10 Questions To Ask When Interviewing A Realtor! 1. Tell me about your experience? How long have you been an agent in Austin? I know this is a relevantly straight forward question, but the truth of the matter is, so few people we meet with ever ask. Without asking this question, you put yourself at risk to hire someone who, quite frankly, may not be qualified to advise you on such matters. 1. You only truly learn by doing. Passing a real estate exam, does little to nothing to educate someone on how this business works. There are hundreds of moving parts for every transaction and if you don’t know how the process works, it can cost your clients thousands. 2. The barrier to entry for someone to get a real estate license is about on par with learning how to properly swing a golf club. Anyone can get the general idea of how it should work, very few can drive a golf ball 300 yards down the middle of a fairway. What does this mean in real estate terms? Is your Realtor up on national and international markets--both real estate and otherwise and how they will affect your bottom line. Do they understand how the timing of getting your home on the market can make the difference between selling at $400k or $425k? Can they tell you about supply and demand and how to properly take this into consideration when you are trying to come up with a price to sell you home. Yes, we are in a sellers market. Most people think that means that all you have to do is put a sign in the yard, put the listing in the MLS and hold your hand out. People are leaving thousands of dollars on the table everyday by not hiring a Realtor with experience in both up markets and down. Worse, they are going to trust this massive transaction someone who probably won’t be in the business in 2 or 3 years. 2. Have you been through the home buying/home selling process yourself personally? This is really important for 2 reasons… the first is financial stability. I don’t know how many times I’ve heard a potential client tell me they plan to work with their sister, cousin or friend to buy or sell their home because they want to “help them”. I always ask, aren’t they supposed to be helping you instead of the other way around. I’ll tell you right now, you are helping no one when you putting one of the largest transactions in your lifetime in the hands of someone who can’t help themselves. If your Realtor is going to put their financial gain above yours, that is a huge red flag. When you aren’t stable enough to put your clients first, you give bad advice and make poor decisions. The other part of this question is about understanding how large a decision buying or selling a home truly is if you haven’t bought or sold a home yourself. Growing up in the real estate world I had my first experience buying and selling when I was 17. My Dad and I flipped a home together; he had a client that really just needed to get rid of a home. It had been his Mother’s and she had really let it go. We got the home at a great price, then my Dad and I put together a budget, estimated our profit on the sell, and we setup a bank account to pay for the updates and repairs. Every few days I met with the contractors, wrote checks and kept up with their progress. Let me tell you, the responsibility of something so big...especially at 17, has stuck with me to this day. It was one of the greatest lessons of my life. Selling a house takes time, dedication, hard work, and willingness to do anything and everything to get it done. 3. What exactly will you do to find buyers for my house/property? Do you have a system and plan for your listings? Most Realtors do what we call the 3 P’s. They PUT a sign in the yard, PUT the home in the MLS and then they PRAY it sells. And in this market, it can sell a home. But typically, this approach leaves thousands of dollars on the table. Ask your Realtor what they do “Pro-actively” to get your home sold. Do they have a written plan that they can present to you? More importantly, do they have systems in place to achieve that plan and track the results? On the buyer side, with so much competition out there for the few homes that come on the market, what will your agent do to find you the home you’re looking for? What will they do beyond setting a search in the MLS and showing you homes as they come on the market? In addition, when your dream home comes on the market, what will they do to ensure that your offer is accepted? What process do they go through to writing the perfect offer and present it in a manner that gets the offer accepted? Ask them how often they win when there are multiple offers, you’ll find that most Realtors don’t have a real answer. It’s like a batting average; if you don’t know how many hits you get versus how many times you strike out, how will you ever improve? 4. Are you a full time or part time agent? Did you know that the average Realtor does less than 5 transactions per year? At a median price of $292,000 (the median price in Austin as of this writing) the average Realtor makes about $43,800 in gross commissions annually. That doesn’t seem like enough to live on and should beg the question: do you really want to hire someone who does real estate part time, or has another job or, worse, whose business is failing? I recommend you find someone who does at least 15-20 transactions a year. If they work with a team (and that’s even better for reasons I’ll get into later) make sure their team is doing about 15 per agent. Less than that and I would start to wonder “why?” What’s wrong with the way they do their business that they can’t do at least a couple of deals every month? Clearly someone doing less than a deal every month is doing this as a hobby and not a profession. 5. Are you an individual agent or do you have a team? Hiring someone on a team, or that runs a team is preferable. Why? Because the number one complaint I hear from people about their last agent was that they didn’t communicate enough or that they somehow felt that their agent didn’t have time for them. You already know I’m recommending you hire someone who’s busy. I think you should want to find someone doing a lot of business, and unless they have a team, you run the risk that they won’t have time for you. Ask them who they have on their team and what their roles are. This varies widely and there’s not just one way this is supposed to look. What you want to know is that they have both the office staff to handle the paperwork and logistics of the transaction as well as other trained agents who can communicate and work with you should your agent not be available. Find out if the person you are interviewing will be working with you personally every step or do they have specialists to handle various aspect of the transaction. There are advantages and disadvantages either way, and the important thing is you are comfortable with how they do it. Find out if they have hours or days they don’t work. Some people don’t work after 6:00 or Sundays. Is that OK with you? Some people like their employees to be available nights and weekends and some people are less demanding. You’ll need to make find out how your agent and their team operates and decide what works for you and your needs. And unless you get this clear you run the risk of hiring someone whose style won’t work for you. 6. What parts of town are you most familiar with? How many homes have you sold in my neighborhood in the past year or two? This is important because every part of town, every neighborhood has a different supply and demand and different reasons why people do or do not want to live there. Wouldn’t it be good to know that a home was built on an old landfill and soil tends to shift and cause foundation problems? (This is an actual neighborhood in Austin). School districts as well as specific schools play a huge part in coming up with a home value. Its important to have an agent who knows the knows that areas that you want to live in, someone who can guide you accurately when looking for your dream home. 7. Do you have a marketing/advertising plan? Can you tell me about it? It is important to have an actual written marketing plan with systems and processes behind it. How else will you hold your Realtor accountable to the actions they are supposed to be taking to ensure that your home sells and sells for top dollar. When a Realtor doesn't have a firm plan of action in hand for your house there is an large chance they will be leaving money on the table or be unable and unprepared to command the highest prices from the market. 8. Who answers your calls and shows my home if you’re not available? Your Realtor can’t be everywhere at all times. It is crucial that they have a team that supports them to ensure that every showing happens and every question is answered. Harvard Business Review did a study and found that if a call is answered and/or returned within 5 minutes, that potential business is customer is 75% more likely to make an appointment. If your Realtor doesn’t have a team, it is important that they have some sort of back-up if they aren’t available. And it is important that they communicate this with you upfront! 9. Can you provide me the names and phone numbers of past clients as references? 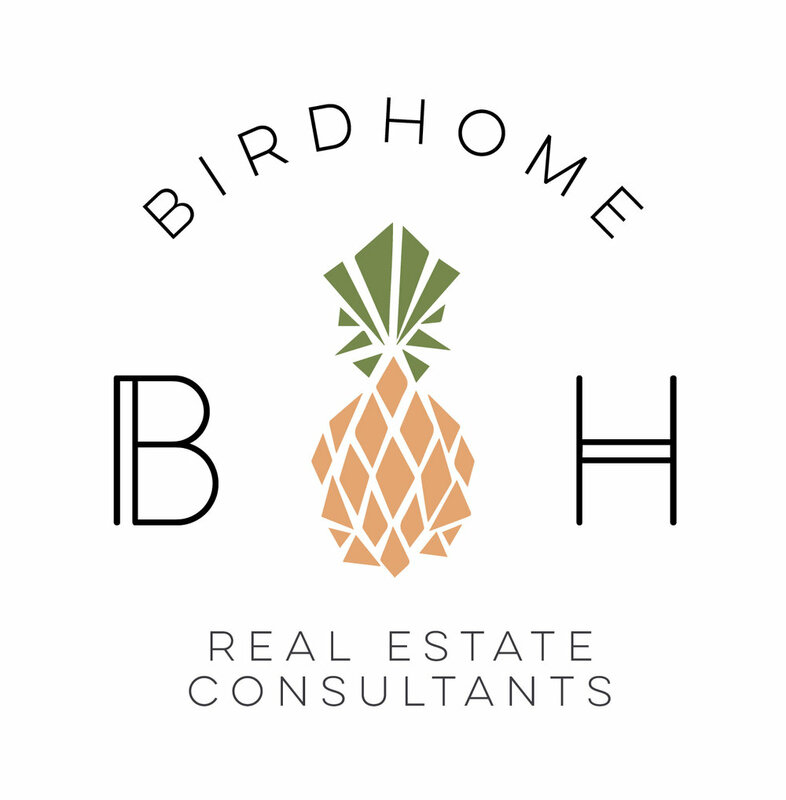 Beyond having some testimonials, it is important that you have references that will speak to your Realtors competence and character. For all intents and purposes, this is a job interview and should be treated accordingly. Not only that, but as we have repeatedly discussed, selling your home is a huge undertaking and you need to be absolutely sure that you can trust your real estate agent beyond the shadow of a doubt. Reaching out to past clients can provide you with the assurance that your Realtor is integral and trustworthy. 10. Why should I hire you over the other 12,000 agents in Austin? Your Realtor should have a unique selling proposition. Something that they do very well that sets them apart. What’s their marketing plan look like? What is their negotiating style? How do they help advise you to pick the right offer if you do receive multiple offers on your home? Can you trust them - do they have an established reputation? You need to know what your agent can do for you that no one else can.